I was so skeptical of the romper when it came back. I super judged. I couldn't help it. I thought "I had those when I was 8! Why in the world would I want to wear those as an adult? I'd look ridiculous." Nope. Nope, that was all wrong. First off, everything you wore when you were 8 was hella comfortable. Well, except for those pink sparkly jellies. Though they were your favorite, you remember the blisters after a long day at the playground. That's it though! At the play ground, on the monkey bars and the tire swing. 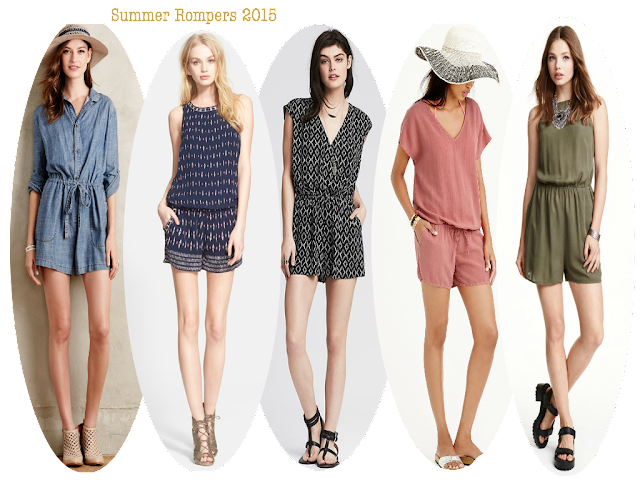 Rompers are essentially a play outfit. The perfect play outfit, as an adult, for moments where you just want to lounge on the sofa or you need to run out and meet the girls for drinks on a patio or (why not?) a sailing date! I don't know why I waited until June to buy one.